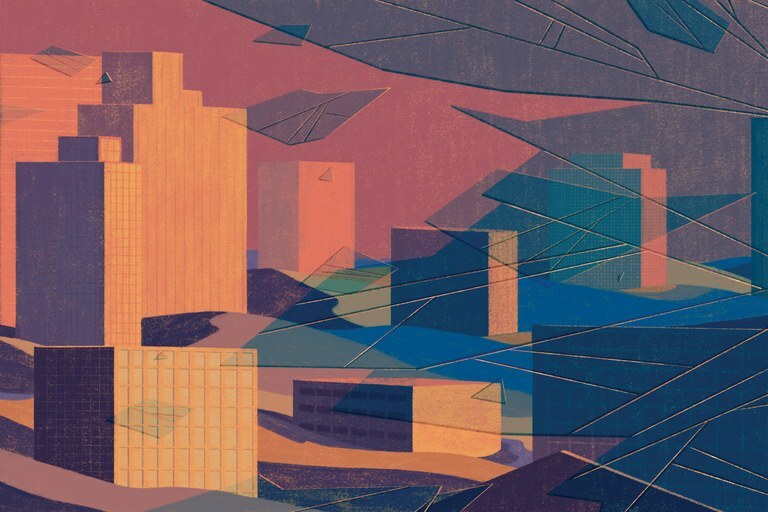 Although the Native literary canon is wide in scope, relatively few Indigenous writers have tackled what it means to be Native American in an urban environment. 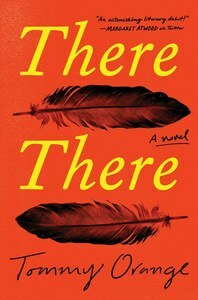 Set in Oakland, California, and told through the eyes of a dozen Indigenous characters, Tommy Orange’s debut novel, There There, forces the reader to confront not just everyday casual racism, but also the misrepresentation of Natives in popular culture, the pain of missing legacies and the muffled hum of an ugly history, all against the backdrop of a thriving, pulsing city. “An Urban Indian belongs to the city, and cities belong to the earth,” Orange writes in the prologue. Recognizing the rift between Native culture and life in a metropolis, he asks, why can’t Natives revere the city like they revere the earth? Many of Orange’s characters ended up in Oakland due to the federal government’s Indian relocation efforts, most notably in the 1950s, when it sought to dissolve tribal governments by offering to move tribal members into larger cities across the country. Although the move was intended to encourage assimilation, Orange told me recently, a lot of people saw it as a chance to start a new life. Leaving their homes and places of worship behind changed the lives of those people in countless ways, but Natives eventually left their cultural stamp on the city, even as the city left its marks on them. Yet the old way of life still tugs at many of Orange’s characters, beckoning them to learn more. There There is a polyphonic novel, intertwining the stories of several urban Cheyenne and Arapaho Indians, whose lives collide at a powwow robbery. Many of the characters are also woven together by another common thread: their search for a true identity, as they’re torn between the influence of the city and their Native heritage. Take Tony Loneman, a 20-something Cheyenne who participates in the powwow robbery scheme. His ancestry is little more than a vague recollection, until Maxine, the Cheyenne woman he lives with and helps take care of, begins to make him learn it when he’s not out riding his bike through the Oakland neighborhoods listening to MF Doom and making drug deals. While he was developing the novel, Orange worked with Native youth through an Indian health center in Oakland. He taught the kids how to capture the stories of their elders on film and edit together the narratives. He realized how many of these stories, just like his own, weren’t being told, or didn’t exist in popular culture. Orange wanted to write a new story, one in which other Natives could see themselves, a truly urban Native novel. And he succeeded. Orange told me that each of his characters reflects him in some way, whether through their experiences, personal struggles or environmental surroundings. His life is glimpsed in characters like aspiring documentarian Dene Oxendene, with his sharp criticisms of the way Natives are represented and his desire to set people straight. And Orville Red Feather, the adolescent who sneaks away from his Cheyenne brothers to try on the powwow regalia he finds tucked away in a closet, squirming in front of the mirror in its ill-fitting pieces. And Blue, whose Oakland classmates used anti-Hispanic slurs to denigrate her because they didn’t realize that Native Americans still existed. The novel is very much shaped by Orange’s own life as an urban Native, and he says he’s been surprised to see such a wide, non-Native audience respond so eagerly. Graham Lee Brewer is a contributing editor for tribal affairs at High Country News. A member of the Cherokee Nation, he lives in Norman, Oklahoma.